What is Power Flushing? – Well, if your heating system isn’t performing to the same level as when you installed it. There is a good chance it may need a good power flushing!! 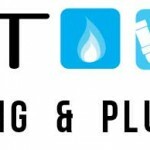 In simple terms power flushing cleans and clears all your pipes and heaters within your central heating system – removing sludge, rust and any other unwanted materials! They can built up over time and left untreated can have serious and costly consequences, not to mention performance issues. And finally, does it take a while to heat up your system? Also, keep an eye on your tap water, does it look a little cloudy? This make signal a lime scale problem, which will effect your heating system performance. Firstly, your entire heating system is completely flushed in order to restore full circulation. Everything throughout your heating system is removed and the system cleaned. A powerful pressure pump is connected to your central heating system and with the aid of a power flushing chemical solution, the pump cleans the entire system. Regarding the chemicals used in the power flushing process, they include a chemical to break sludge and a remover to rid your heating system of any rust and sludge. A descaler is address any lime scale build-up and also a corrosive inhibitor chemical to stop any future rust build-up. Don’t worry once the entire process is completed and your system completed flushed there will be no acid in your central heating system, including the water. Remember, Boiler Repair Dublin covers all types of heating and control systems in Dublin, Wicklow, Meath, and most counties in Leinster, so feel free to call the team on 01-5397223, email: info@boilerrepairdublin.com or fill out the heating controls make an appointment form.